Click here for legal download from from Soribada~. 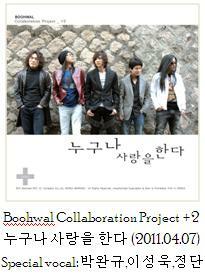 1st Album (1986), 2nd Album (1987), 10th Album (2005), and 12th Album, Part 1 & 2 could still be found in stores in Korea. 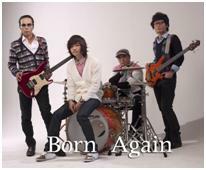 So are “Best of Born Again” (1989), “Boohwal Best 이솝의 붓” album (1996), and “Live and Unplugged” (2006). 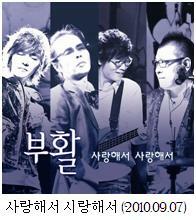 3rd Album (1993), 4th Album (1995), 6th Album (1998), 8th Album (2002), 9th Album (2004), 11th Album (2006) are all sold out. Hi – Is there any way that you can get other BooHwal stuff like T-shirts, etc.? Boohwal does not engage much in other commercial activities. The T-shirts are usually sold in the concert, and not in every concert coz they don’t keep producing for commercial purpose. 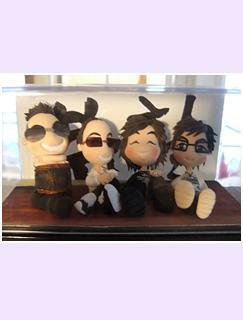 And mini-dolls and stuff like that are usually fan-made and not sold anywhere. I know I´m beeing greedy but I really want them =( I´ve been looking around for almost 2 hours now and I´m starting to get desperate… I´d really apritiate your help… Can you help me? The 5th and 8th album are all sold out. The 1st and 2nd album could still be found on CD stores in Korea. 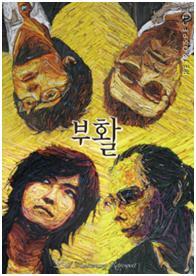 If you have Korean friends, I’d recommend you ask for their help. When I was still a student I would have the time to help you buy the CDs and drop it to the post office, but I can’t afford such extra time anymore. Well… that means it´s impossible for at least another year =_=; …You don´t feel like helping me the illegal way? The reason I’m making this homepage is to promote Boohwal, helping you the illegal way wouldn’t achieve my purpose. But where do you live btw? One cd would cost approx 10 USD, I’ll see if I could check how much it costs to send it to your country if I have the time, but it’s not likely until the end of this month. That if you’re willing to wait, of course. I’ll contact you by e-mail if you leave your address. Yeah I thought so XD But had to ask anyway X) And I am VERY thankful for this homepage! Really! 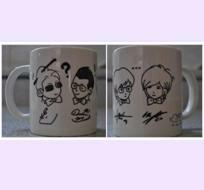 If all is okay, than I’ll contact you by email once I check the post office and inform you about the prices. Thanks! Let´s do that ^^ I´ll be waiting! Same here! 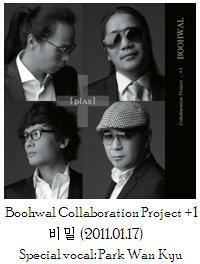 ^^ Isn’t there any way to purchase Boohwal’s first albums? I’m getting desperate here. I live in Europe, too, by the way. Hello! Thanks for this site. I am a huge Boohwal fan. 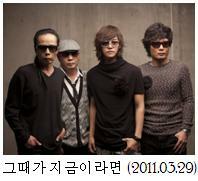 I’m not in S.Korea right now but can you please post the concert schedules of Boohwal in S.Korea and abroad (if possible) for 2011? Thanks in advance. Please check “Schedules” category on the left hand side. Schedules are always updated every month. hello. i love & thankful for this site… may i know usually how much is boohwal’s concert ticket? Nice to meet you here on this exquisite website. a discounted one for the fans. @Zuraidah: Do you live in Korea? The range is pretty wide depending on the seat, I’ve always booked front seats and paid as little as 55,000 and as much as 100,000 (Korean Won). Depending on the place of the concert, the price also range. I would love to have their live concert dvds. Are they all still available? im just recently fall in love with boohwal. can you suggest any two best album for me? the one that still be available in korean market. 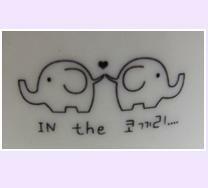 i’ll go to korea next week- 28.mar. can you reply my cooment before then? thank you so much. and keep up the good work maintaining this page. Sorry I’ve just seen your comment now. Hope you had that Korean trip covered. First I want to thank you for this wonderful site of you because it’s a big help for us foreign new fans.Last Oct.6,2012 I was there in their Purple Wave Concert in Seoul.It’s my first time to visit S.Korea and meet them in person and I realized that to watch them in live is so different from watching them in videos.I was so happy and excited,I can’t explain the feeling…they are really so good specially their vocal Jung Dong Ha.By the way I,m from the Philippines and thanks again .I hope some other people who would like to watch live concert can also have same opportunity like me. I thought that I was the only Filipino rooting for them. Do you think there are more of us? Because the other band from another country that I like, we are only 3 Filipinos here and 2 more are living abroad. Can you email me? So that we can have interaction? Really, they are in abroad. Actually I’m from Bacoor, Cavite. I hope threre still a lot of Filipino around that knows about Boohwal. So pity if its a few recognize them, they are very talented musician. I am from Cubao, Quezon City.. If you are around the area, pleases drop me a line so we could meet. 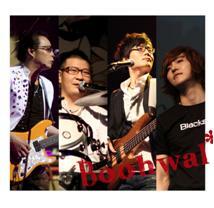 Boohwal albums are available on E-Bay.